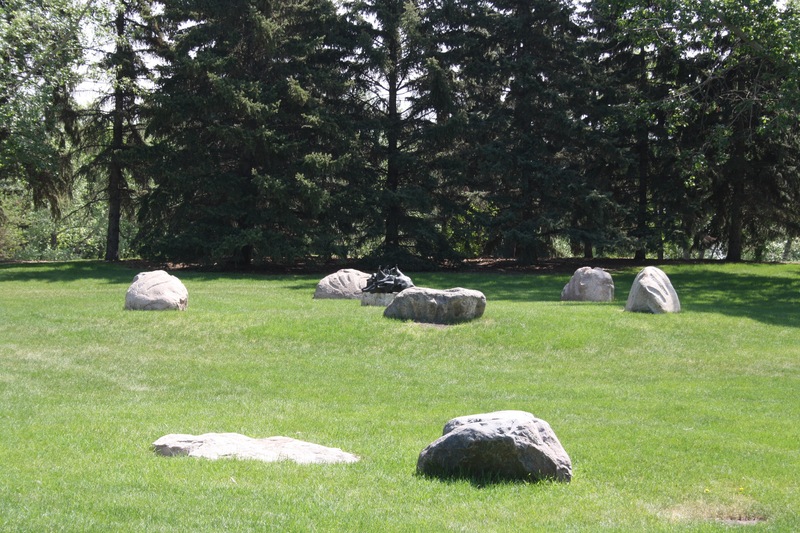 The circle is an archaic power symbol dating far back into prehistoric times representing fertility, growth, woman, and goddess. 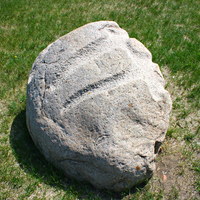 Examples can be found in the carvings of North American Indian Tribes dating back 20,000 years. 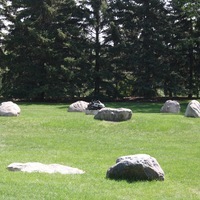 The medicine wheel and the teepee circle are more examples of the significance of the circle to the early inhabitants of the plains. 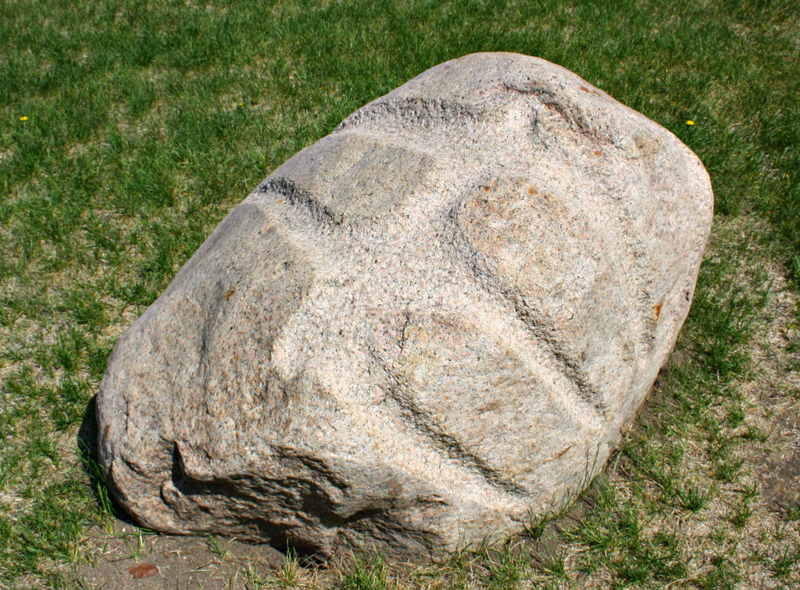 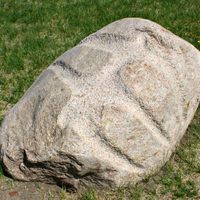 The radicals (large boulders deposited throughout the prairies at the end of the last ice age) were carried from the general region of Flin Flon, Manitoba and act as a metaphor for the migrations important to the history of the prairies. 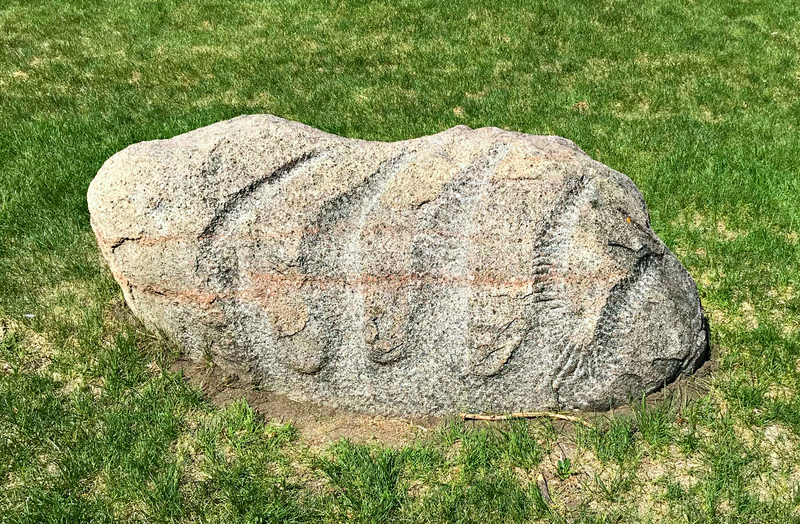 The migration of the Indian tribes to and back from Central and South America and the immigration from Eastern Canada, Europe and elsewhere. 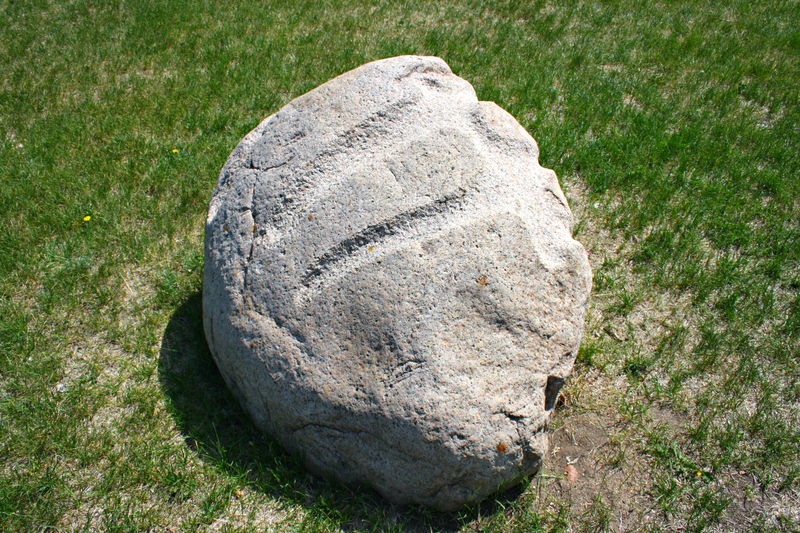 The carving of the stones is derived from the carvings made by the Southern Plains Indians known as “rib stones”. 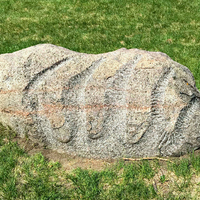 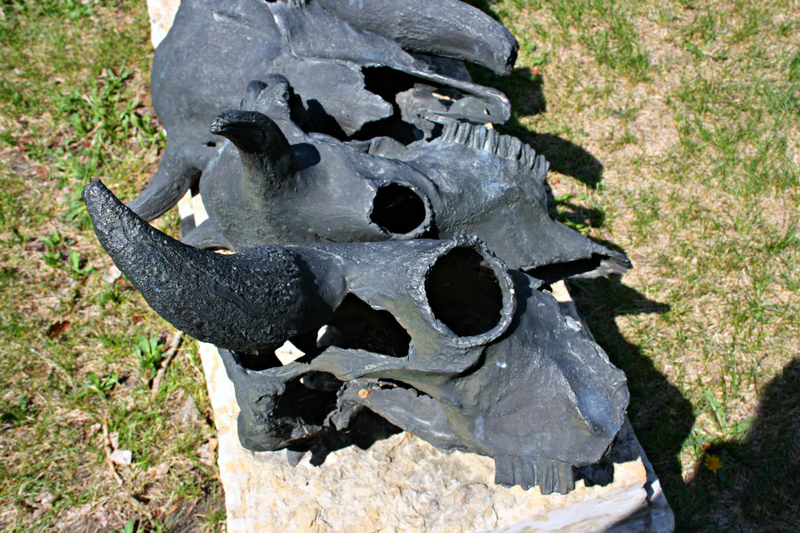 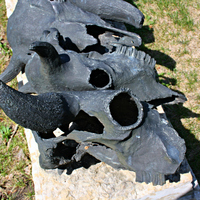 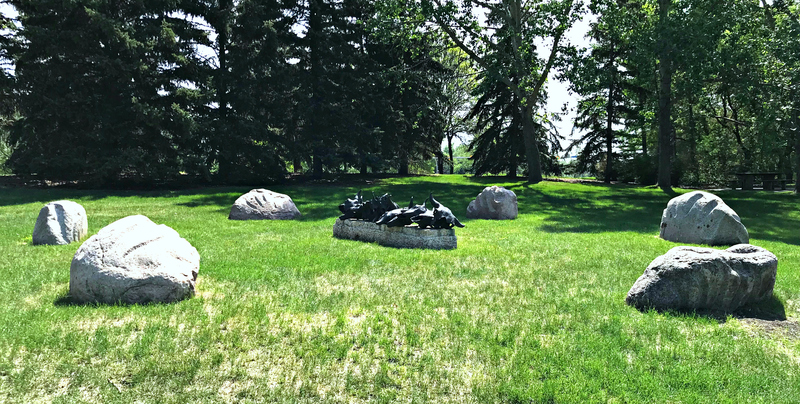 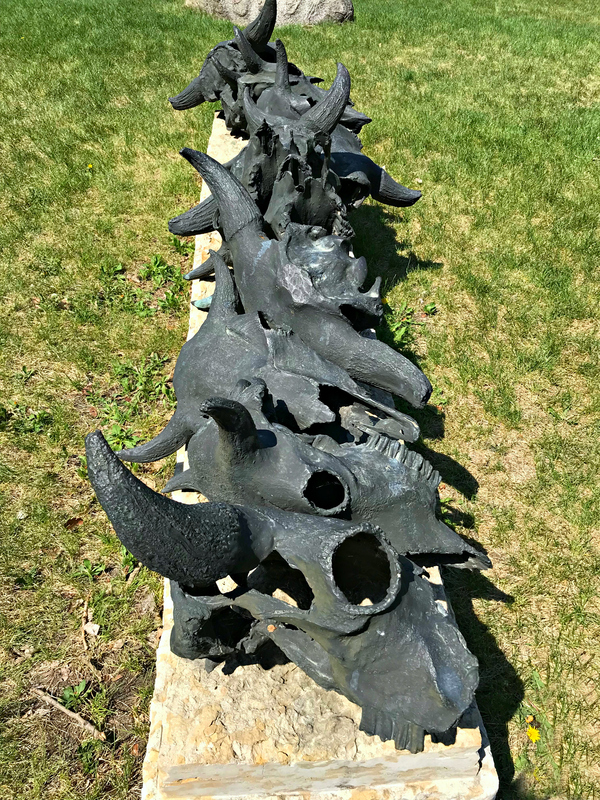 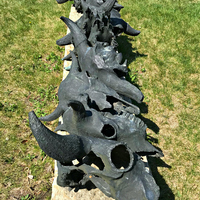 While an exact interpretation of the “rib stones” is unknown, some view them as representing depositories for the souls of the hunt, the bison, an appropriate symbol for Wascana. 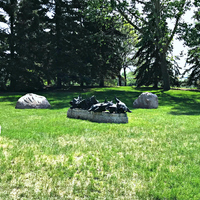 This sculpture was completed in the summer of 1989 by Saskatchewan artist Doug Hunter.